Guided Tour to the major tourist attractions of Paro covering Ta Dzong, National Museum and Rinpung Dzong. Visit major tourist attraction of Wangdu Phodrang including Chimi Lhakhang, Phobjikha Valley, Gangtey Monastery and the Bay Lang Dra. 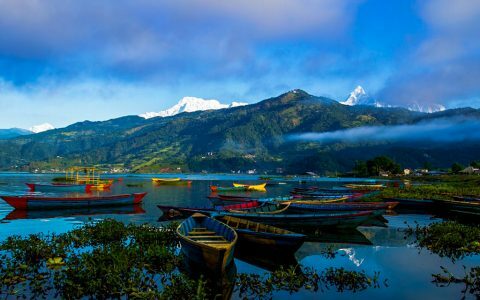 After breakfast straight drive to Pokhara, one of the most beautiful city and second largest tourist destination in Nepal. On arrival check in to the hotel after freshen up enjoy boat ride in Pehwa Lake with the mesmerizing Mt. Fishtail in the backdrop, overnight stay in hotel. In the early morning after tea coffee, enjoy bird watching with an expert naturalist. Return to resort for breakfast and then drive to Kathmandu on arrival check in to the hotel. Rest and relax for rest of the day at the hotel room. 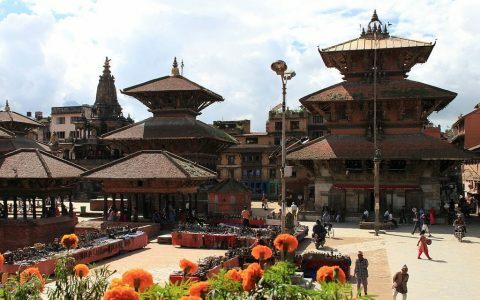 In the evening take a leisurely walk to explore nearby area of Kathmandu. Stay overnight at the hotel. After breakfast transfer to Airport to board flight to Bhutan’s beautiful town Paro. The flight to Paro is one of the most spectacular of all mountain flights. During the flight one can explore the beauty of Mt. Everest, Makalu, Kanchenjunga and other famous peaks. On arrival at the Paro Airport transfer to hotel, at evening take a leisurely walk to around town’s main street, overnight stay in the hotel. 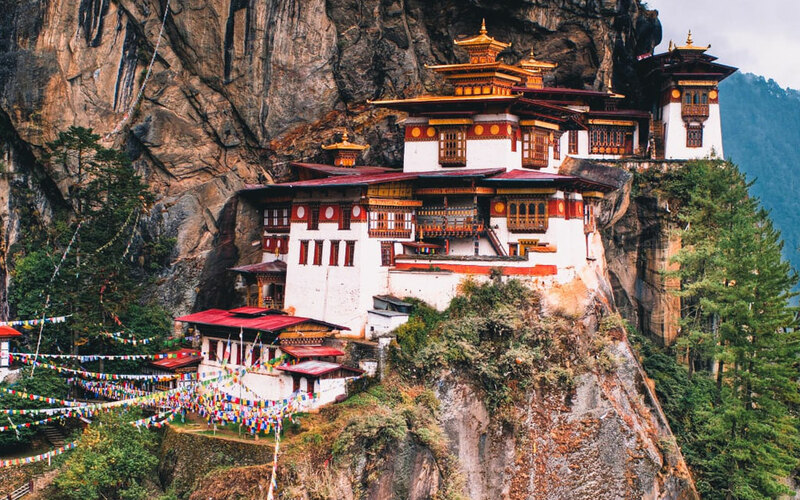 Post breakfast visit Taktshang Monastery also known as Tiger’s nest hang on a precarious cliff at 3120 meters above the Paro Valley. After lunch visit the other key attraction of Paro covering Ta Dzong, National Museum and Rinpung Dzong. Later enjoy dinner and overnight stay at the hotel. In the morning drive to visit ruin of Drukgyal Dzong, which was a fortress and Buddhist monastery built in 1649 and completely destroyed by fire in 1950. Later visit Kyichu Lhakhang, one of the oldest and most sacred temples of Bhutan, further proceed towards Punakha across Dochula Pass. In the evening get an opportunity to take a short walk into the local market of Punakha. Overnight remain schedule in hotel. In the morning after breakfast proceed to Thimpu. En-route, visit the Wangdue Phodrang with major tourist attraction including Chimi Lhakhang, Phobjikha Valley, Gangtey Monastery and the Bay Lang Dra. Later continue drive to Thimphu, on arrival check-in at hotel for dinner and overnight stay. After breakfast get ready to visit Buddhist Monastery Tashichho Dzong situated on the western bank of Wang Chu. 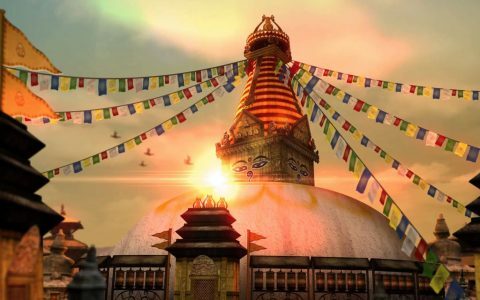 Also visit National Library and The memorial Chorten and Handicrafts Emporium are other places of attraction. Return to hotel for Dinner and overnight stay. 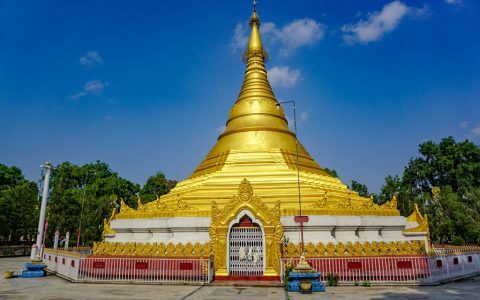 Post breakfast proceed to visit Phuentsholing located on the border of India and Bhutan, It is an important link to visit the Indian state of west Bengal, Sikkim and Assam and also serve as a convenient entry and exit point for Bhutan. On arrival at Phuentsholing check in to the hotel, after freshen up visit Zangtho Pelri, Lhakhang and the Kharbandi Gompa. The Kharbandi Gompa monastery contains painting on the life of Buddha and statues of Shubdrung Nawang Namgyal and Guru Rinpochey. 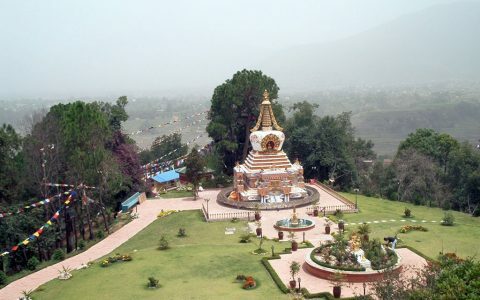 Later enjoy the superb view of Indian plains from the monastery garden towards the Phuentsholing. Return to hotel for dinner and overnight stay. On your last day of tour leave Phuentsholing to reach Siliguri. 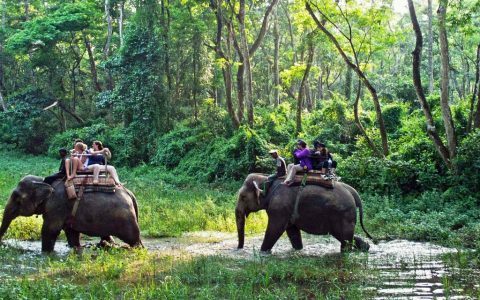 On arrival at Siliguri transfer to airport to board a flight for your onward journey back home with illustrious memory of fabulous India Tours.